Michel Dallaire’s quiet takeover has already begun. The French Canadian product designer is the force behind the sturdy yet elegant frame pedaling around more than ten cities this summer. Bixi, Divvy, Nice Ride, Citi Bike, Hubway. Don’t let names or neon paint jobs confuse you; the city may change, but the bicycle in the spotlight stays the same. 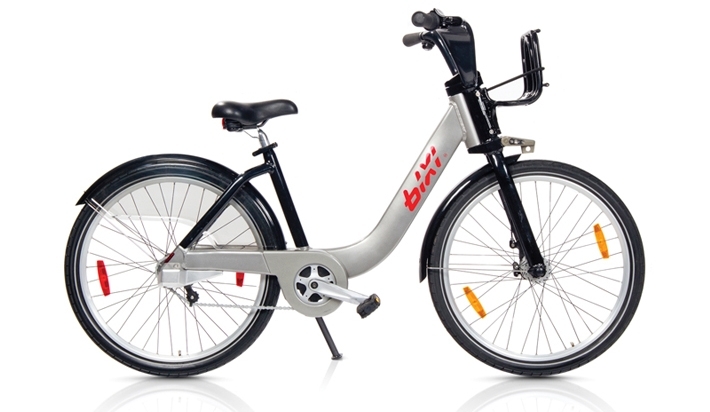 Designer Michel Dallaire painted the original Bixi frame in two colors, in order to better express the boomerang shape. “When you see the bike riding in the city, you see this boomerang moving,” he says. Courtesy of PBSC Urban Solutions. 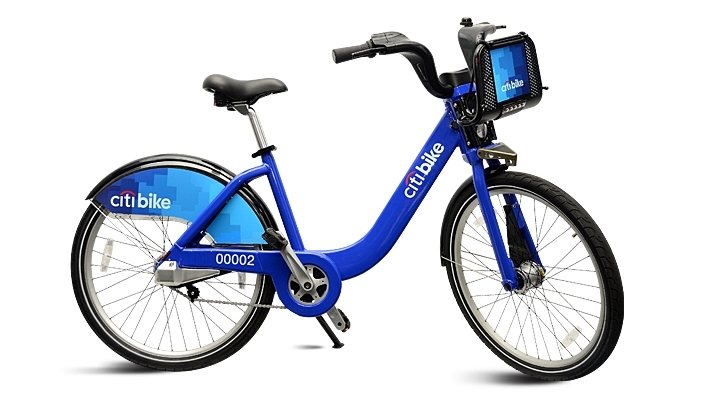 Title sponsor Citigroup paid over $40 million for naming rights and five logos on each of New York City’s 6,000 bikes. Courtesy of NYC Bike Share. Divvy is a program of the Chicago Department of Transportation. 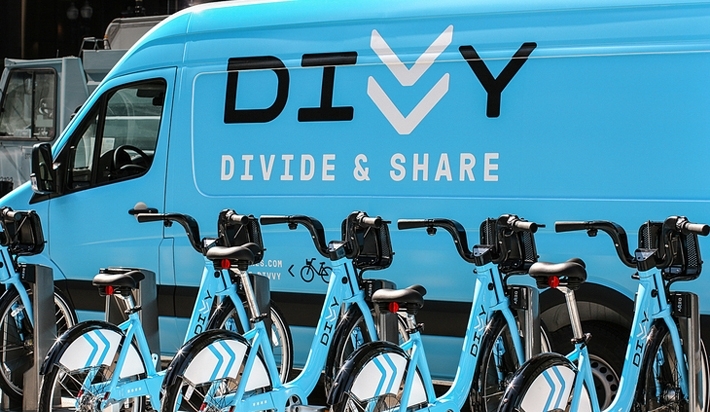 IDEO and local design firm Firebelly, created the branding for Chicago’s Divvy system. Courtesy of Firebelly. Minneapolis-based Duffy & Partners worked for 16 months pro bono to name and brand the Twin Cities bike share program. Courtesy of Duffy & Partners. Washington, D.C.’s Capital Bikeshare program could be more playful if half its 2,300 bikes were DNC blue. Courtesy of Mr. T in D.C.
Today there are 38,000 Bixis on three continents, in what appears to be a rapidly expanding international bike share movement. “It was in our mind to offer this system all over the world,” Dallaire said, though he acknowledged the existence of predecessors in France and Stockholm as a huge learning advantage. The foresight of Dallaire and his team to provide ample real estate for branding is another key to Bixi’s growing success. The wide, flat surface of the angled frame does look like a boomerang, but perhaps more importantly it’s the perfect location for readable logos. Customizable wheel caps and the front luggage rack offer another high-visibility branding opportunity, something Dallaire prioritized throughout the project. 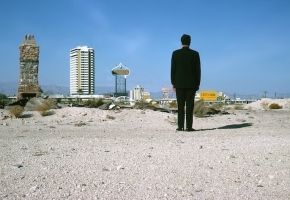 “Every city has its color, its logo, its name, its sponsors. 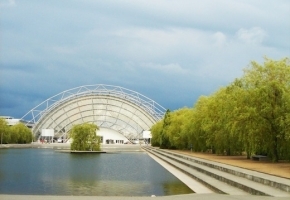 The design was realized under these constraints,” he said. The way a city brands its bike share can be telling. New York City’s for-profit system, Citi Bike, is a traveling advertisement for Citigroup, who provided a large portion of the financial backing for the project. New Yorkers have adapted to the similarly branded Citi Field and Citi Pond, so corporate sponsorship was no real surprise. Plus, Citibank offsets high operating costs. Minneapolis and Chicago turned to local design firms to create graphics and names for their systems, Nice Ride (a play on the motto “Minnesota nice”) and Divvy (with the tagline “Divide and Share”), respectively, but the day-glo green and powder blue results are more trendy than classic. 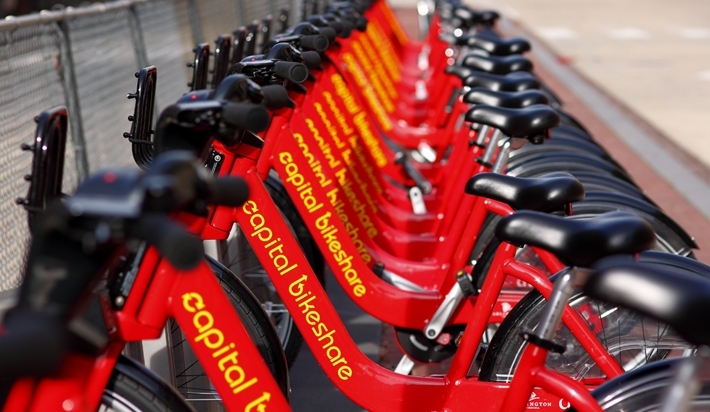 In Washington, D.C., the logo for Capital Bikeshare is a comically circuitous array of arrows, and could just as easily represent the state of politics on the Hill. Other locations using Dallaire’s system follow a similar pattern: a smattering of sponsors and a splashy name. Nice Ride logo. Courtesy of Duffy & Partners. Dallaire attributes the success of the Bixi to its aesthetics, and urban areas adopting his design continue to multiply. Bay Area Bikeshare, serving greater San Francisco, is set to launch at the end of this month. Unsurprisingly, its logo features a sun in the shape of a bicycle crank. While the color a city chooses for its cycle may not make or break its public reception, it’s fair to ask if cities are missing a bigger opportunity. What if a fleet of 6,000 taxi-yellow bikes were traversing New York’s streets instead? Or imagine if Washington, D.C., played up its political backdrop by swapping out half the cherry red bikes for DNC blue? Capitalizing on the cities as brands themselves and toning down expected visual tropes is a way to own the bike’s ubiquitous design, and make it a unique part of each city’s infrastructure. 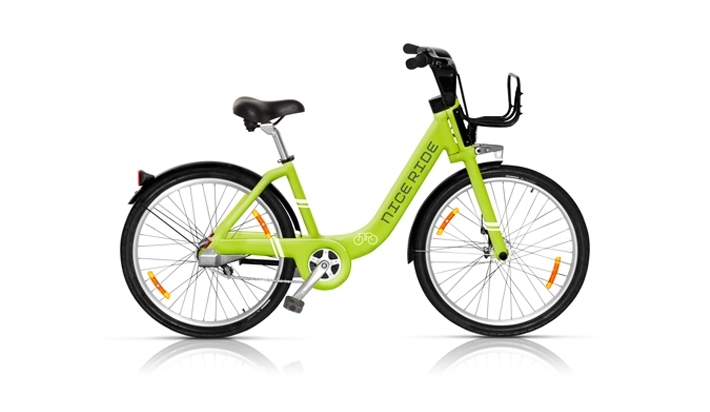 Hubway logo. Courtesy of Hubway. Capital Bikeshare logo. Courtesy of Capital Bikeshare.